Isle of Wight is located on the South Coast of England, and just so happens to be down the road from where we live – which is why it’s so appalling that we have never visited the island before. 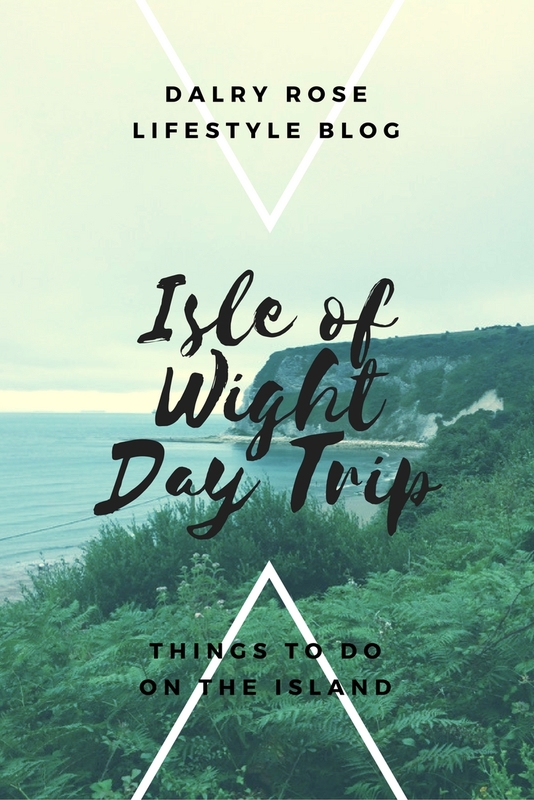 A small island full of natural beauty and hidden gems, it’s easily accessible by ferry (it takes about an hour from Southampton/Portsmouth) and makes the perfect day out, as well as a family holiday. I am an anxious traveller to say the least, which is why I have decided to start small after developing crippling anxiety. This trip was perfect for me to get the taste of exploring new lands, and push me out of my comfort zone enough to catch that ‘travel bug’. I took my car and picked up my travel buddy Heidi to make our way to the ferry from Portsmouth to East Cowes, Isle of Wight. Our journey was pleasant, exciting and without any fuss. The ferry is packed with cafes to keep you going for the hour journey – and dogs are welcome on the ferry if you want to bring your pooch! When we arrived in Cowes it was super overcast – with fog across the island. Spoiler alert: the weather cleared up pretty snappish and we spent the rest of the day basking in glorious sunshine! Our first destination was Whitecliff Bay – a quiet cove on the East side of the island with nothing but a couple of café/bars serving cups of tea and snacks. Whitecliff Bay is beautiful and peaceful – without many other souls in sight. The perfect place to grab a picnic basket and settle down for a day/evening of relaxing and catching up with friends. You can also explore the bay and walk along the beach to see where the seaside takes you. We then absolutely had to visit the Isle of Wight DonkeySanctuary. About half an hour drive from Whitecliff Bay, the donkey sactuary is home to 90 donkeys, ponies and horses all which have been rescued by the lovely people running the site. The donkeys come from different backgrounds: some have been abandoned, whilst done donated because their owners couldn't look after them. The animals in the sanctuary are lovely, beautiful and gentle - this is a great place to bring your kids and teach them about animals, OR take a donkey out for a walk! It's free to enter, but if you have a heart and are a genuinely nice person then you will donate whatever you can at the door. 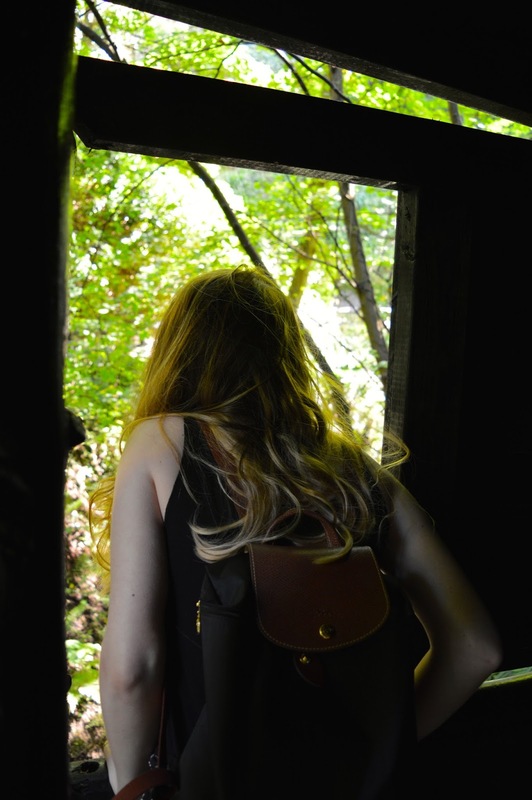 We finished the trip with a visit to Shanklin Chine - a Jurassic walk filled with waterfalls, plants with leaves taller than a grown man and the most stunning views of the beach. We finished the walk, and wondered right onto the beach where we found Fishermans Cottage - a local beach pub with friendly service and delicious grub. There really is little better than an ice cold beer whilst staring out into the ocean! Isle of Wight has pleasantly surprised both Heidi and I - and we will most definitely be back to explore more of the island. For a relaxed weekend away, or a family trip - Isle of Wight is calling.